"Material excess makes way for perfectly executed technical details" - that's how Lamy describes the Scala ballpoint pen. The Scala was designed by Sieger Design, a German homeware company with a knack for producing minimalist concepts which nonetheless radiate personality and charm. 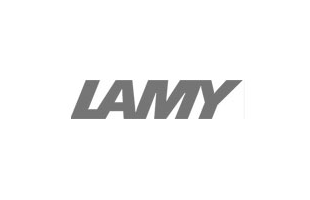 Released in this special edition finish to celebrate 50 years of the Lamy brand, the pen features an easy to use twist mechanism and an engraved '50' to mark the occasion. The smart finish of shimmering blue grey lacquer and polished chrome makes this delightfully simple pen an everyday joy. Bought as gift and greatly appreciated by the recipient who loves the very stylish design and the way it writes.